The Furniture Mart is a furniture retailer with multiple locations spanning four states. Technological innovations and shifting consumer trends have made the retail furniture industry more competitive than ever. The Furniture Mart looked to Sterling eMarketing to build their website and expand their digital footprint. Sterling eMarketing understands that an online presence combined with a brick-and-mortar store give retailers a competitive advantage. 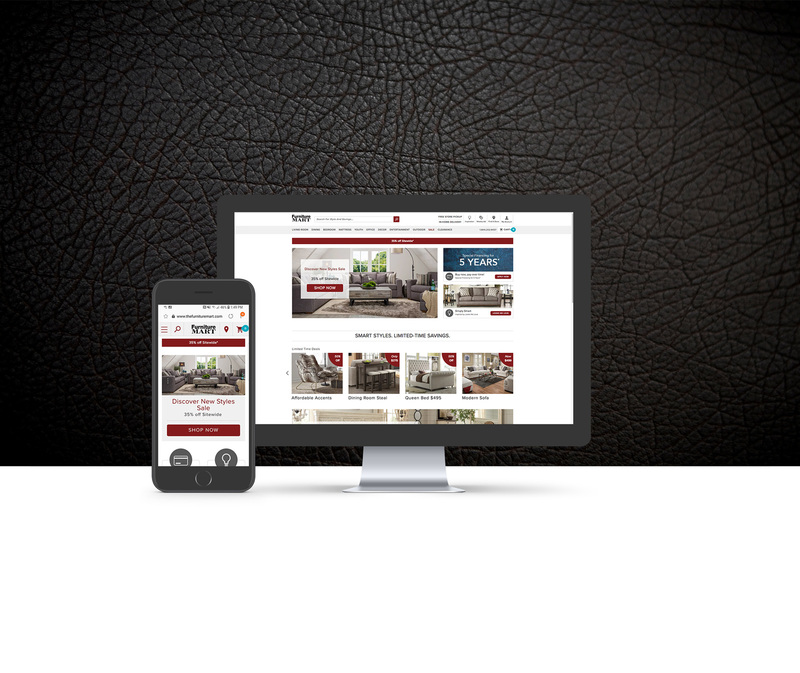 We implemented a web design that would showcase The Furniture Mart’s inventory, as well as provide e-commerce solutions. Running parallel with the online efforts, we implemented a strategic multi-channel media plan to generate awareness and engage consumers. Shoppers now have the ability to browse from the comfort of their home. Often this is prior to a showroom visit, but the e-commerce platform allows for a complete online experience as well. This technology-forward approach has been instrumental in continued growth of The Furniture Mart.